Visits By appointment, follow signs for “La Selva” from Trequanda. La Selva makes an excellent organically farmed olive oil. I have known the owner Duccio Pometti for more than 10 years. His passion for the earth, good food, and wine are evident to anyone who has spent time with him. His estate is located in the Crete Senese, one of the best microclimates in Tuscany for rich, aromatic olive oil. La Selva Olive Oil is organic. It is a combination of two farms: Fattoria La Selva, just outside of Trequanda, and Chiatina, a few kilometers away, closer to Buonconvento. Both farms are owned by the Pometti family, which has a rich heritage in Tuscany. Duccio, the owner, has formal training as a banker, but he ultimately decided his love was farming, and cultivating his family’s land. In 1979 his grandmother, Maria Ricci Socini, handed over the reins of the Fattoria La Selva family farm to him, which he will pass on to his daughter, Carlotta. Fattoria La Selva has been in the Socini family since the 16th century, a rare legacy and an example of the passion that goes into each bottle. The majority of olive trees are over 100 years old, approximately 350 meters above sea level. The trees are pruned every 2 years, and only fertilized with local manure (no pesticides)—talk about organic! The olives are pressed immediately after picking. A very low yield (small amount of olives per tree) results in outstanding quality and concentration. The varieties of olives are: Frantoio, Leccino and Pendolino. They are always handpicked and cold pressed the same day. The oil is unfiltered, so the sediment settles naturally. It is a golden yellow hue with a green tinge, and the oil has a slightly bitter aftertaste. 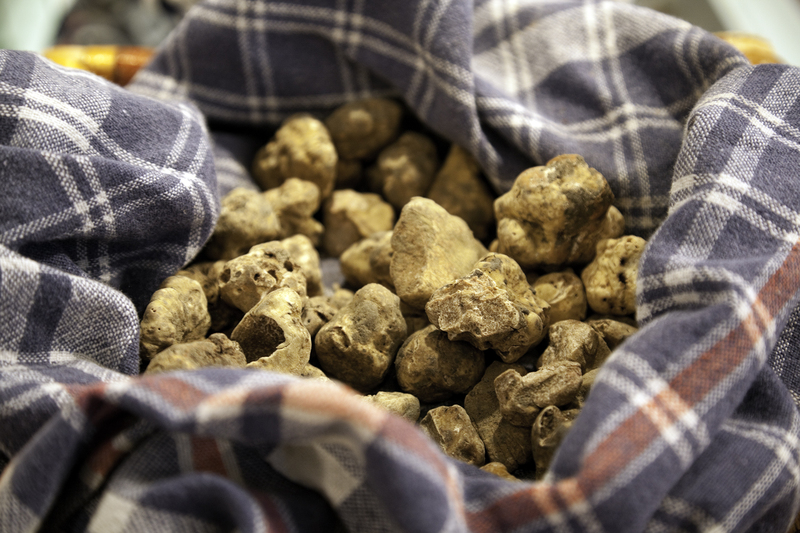 Growing naturally on the Pometti family’s large estate, 15 kilometers from San Giovanni D’Asso, are the rare tartufi bianchi, or white truffles. I am a fiend for white truffles! Duccio shares my adoration for this rare fungus and recently decided to share his love for truffles with guests of his agriturismo. For groups of at least six people, Duccio will arrange white truffle hunts from October–November, which can be organized along with a home-cooked meal specifically tailored to the product of the hunt. If you are in Tuscany during the fall, you should arrange an excursion—and don’t be shy about inviting me to come along.